Every runner wants to beat their best time. So, who better to race against than yourself? 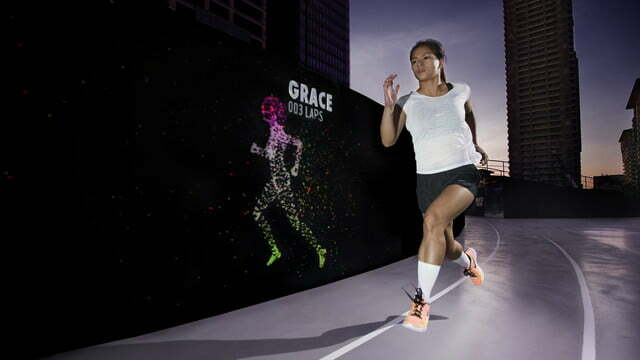 Nike answers that question with its recently unveiled Nike Unlimited Stadium installation in Manila, Philippines, where runners race against a digital avatar of themselves that runs as fast as the regular human runner. To race against your digital self, you place a radio frequency identification sensor on your sneaker and then run a lap on the track. After the initial lap time records, a digital avatar appears on several large LED screens placed around the track. Fortunately, the avatar doesn’t speak to you, so don’t worry about being berated by a digital copy of yourself for not keeping up. Only 30 runners are allowed on the track at any given time. 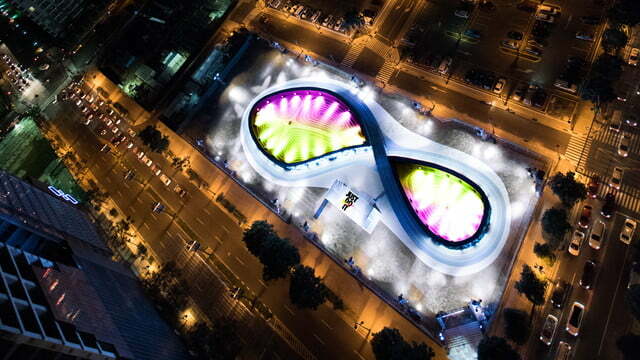 The 200-meter installation was built by global advertising agency Bartle Bogle Hegarty’s (BBH) Singapore division and takes over an entire city block in Manila. 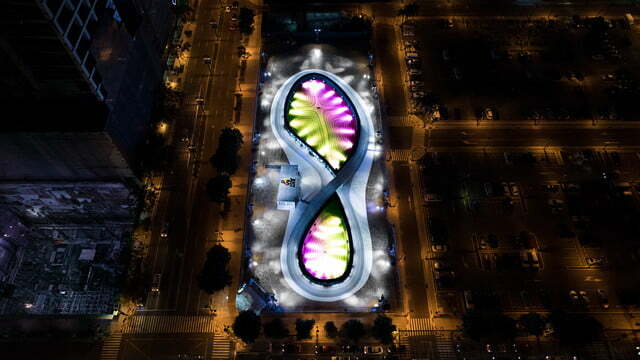 The track was purposely designed to look like the sole of Nike’s new LunarEpic running shoe and illuminates a multitude of colors while featuring the same circular drawings found at the bottom of the shoe. 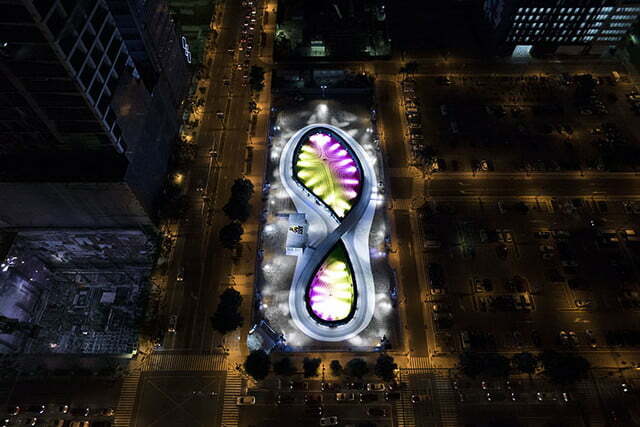 As of now, there’s no information regarding how long the installation plans to remain open or if Nike expects to bring it to more locations around the globe. BBH’s Nike Unlimited Stadium isn’t its first foray into the world of Nike as the agency’s created a number of technologically impressive installations for the brand over the last few years. For a race in Jakarta, Indonesia, the agency hacked a building to display real-time data such as speed and place on the outside of the building. 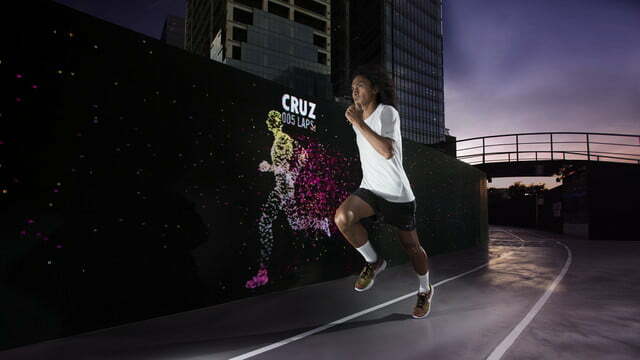 To promote the Nike Hypervenom shoe, BBH allowed people in Bangkok to participate in an interactive soccer match where they tried to avoid virtual defenders as they tested their agility and scoring ability. The next time you are in Manila and want to run with someone as good as you, Nike Unlimited Stadium may have the right track.